This is a custard cream recipe I used for myÂ Totoro cream puffs! 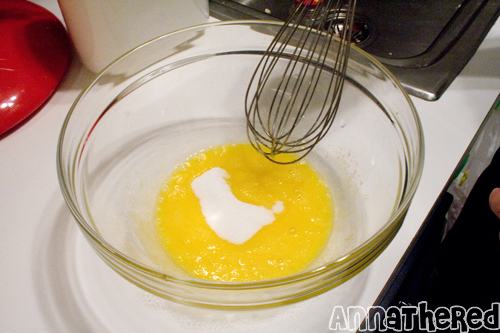 I’ll be doing a how-to on Totoro cream puffs soon, so I thought I’d put a recipe and how-to for the custard today. Have this made (and in the fridge) before you start making cream puffs! 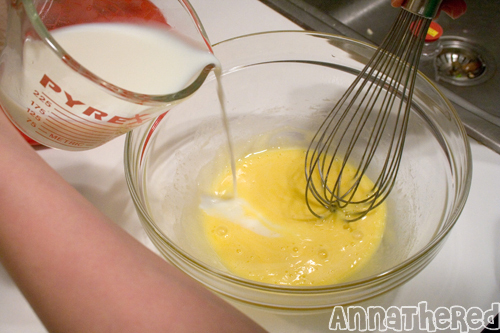 *A whole egg makes lighter custard cream, egg yolks will make heavier custard cream. 1. 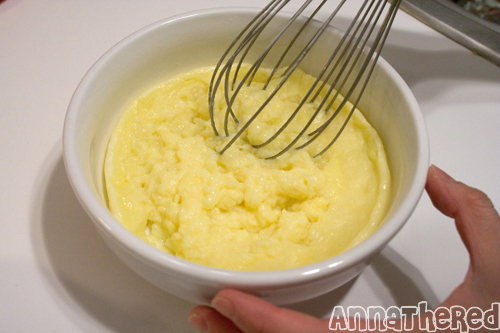 Put an egg in a microwavable bowl and mix. Add sugar in and mix well. 2. 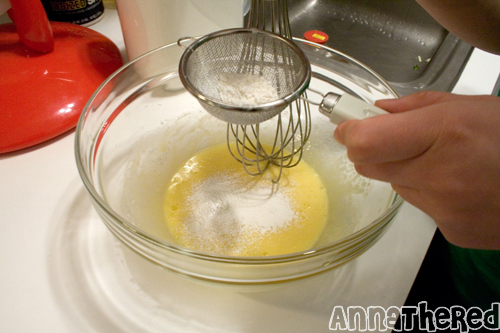 Using a tea strainer or sifter, put the mixed flour and corn starch into the bowl while mixing. 4. Microwave it on high uncovered for 1 minute and half. 5. Take it out and mix well. It should still be pretty watery. 6. Microwave it on high again for another 1 minute and half. 7. 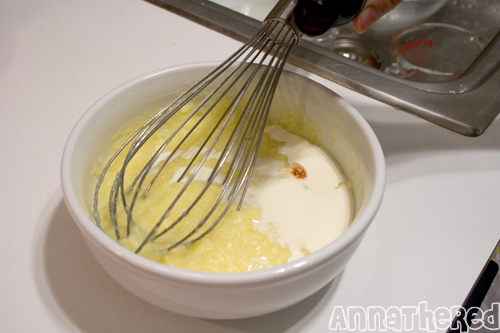 Take it out and mix well, and add whipping cream (or butter) and vanilla essence and mix some more. It should be like pudding after the second microwave. Adding heavy whipping cream and vanilla essence. 8. 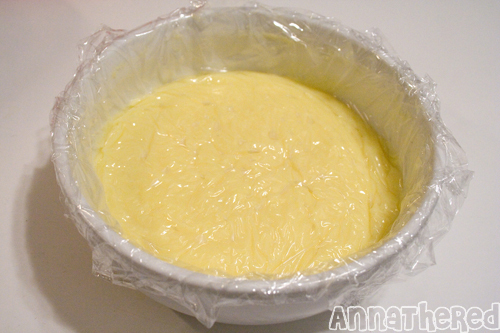 Put plastic wrap directly on the surface of the custard, and let it cool down. 9. Once it’s cooled down, put it in the fridge until you use it. The default temperature on my microwave is high, so I didn’t really set the temperature or anything, but if you don’t know what’s “high” on your microwave, check the texture of custard when you take it out of the microwave the second time. 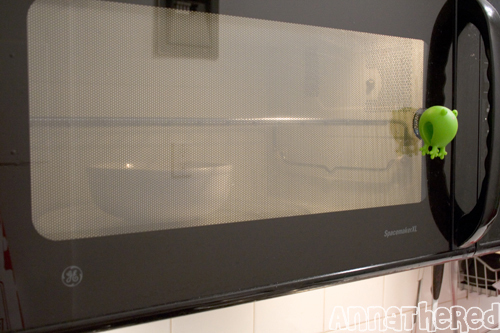 If it’s still watery, microwave it for 30 more seconds. For more pictures of my bento, visit Bento! set and Bento details! set on my flickr page. If you have any questions about any of my how-toâ€™s, please feel free to leave a comment or email me! I tried this recipe last night! i loved it! so good! i was surprised at how fun cream puffs are to make! thank you so much for your recipes! i am thinking of trying the recipe and i want to know which method is the better choice. oh ok cool i will definitely try the microwave one if i can then since it seems a lot simpler. it is ok that you took a while to answer my post. i don’t really expect you to respond right away since i too live in NY. by the end of the day, i usually collapse on my bed when i get home. Hi Anna! I’m planning on making cream puffs for tonight, and for the custard, is the corn starch absolutely necessary? I can’t find it at home and I don’t have time to go buy it at the market. Is there anything I can substitute for it? You just need a couple of droplets of vanilla essence. It’s just for the aroma, so if you don’t already have vanilla essence. You don’t “have to” use it… but it feels like it always tastes better with vanilla essence though. hi i just made this last night and its all watery and not going to work in my cream puffs what went wrong?!? i followed the recipe perfectly. the 200 ml of milk = 7 ounces of milk on an online converer. do you find this correct? how long can you keep this custard cream in the fridge? i have yet to get the chocolate and icing for the totoro cream puffs. \i can’t wait to make this! thank you for the recipe. Custard cream should be good for at least a couple of days in the fridge. I usually ended up eating the leftover custard cream, so I’ve never kept mine for more than a couple of days. I heard that you can also freeze custard cream, but I’ve never done it. Good luck! 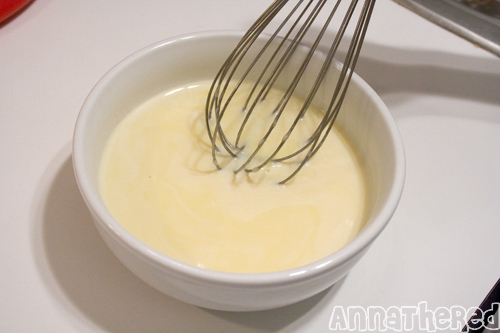 You are the best person in the whole world for sharing how to do custard without all the finicky water bath stuff. I love you forever, but don’t worry, not in a creepy stalker kind of way. For one thing, I’m going to be too busy making and eating cream puffs!!! Sorry for a late reply. Both my boyfriend and I ate both microwaved custard cream and stove top custard cream, and we couldn’t tell difference in taste between them. I put both recipes because some people just don’t like cooking food in a microwave, or don’t have a microwave. So it’s totally up to you! 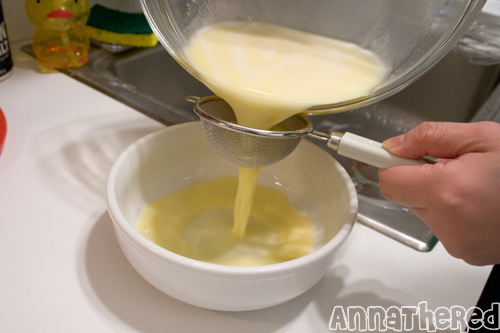 Even though I wrote it’s not absolutely necessary, try “pouring the liquid through a sieve” in Step 3 if you can. It’ll make custard definitely smoother. I’ve never made this recipe without cornstarch, and unfortunately I have no idea how it’ll come out without it. (I think it might be too watery.) If you don’t have cornstarch, my advice is for you is to search online for a recipe for custard cream that doesn’t use it. Sorry I couldn’t be much of help. Good luck! Child’s Play Charity Dinner Auction! Copying or redistributing of the content of this blog without permission is strictly prohibited! All anime & video game character trademarks are copyright of their respective owners. Site powered by Wordpress Thesis Theme.